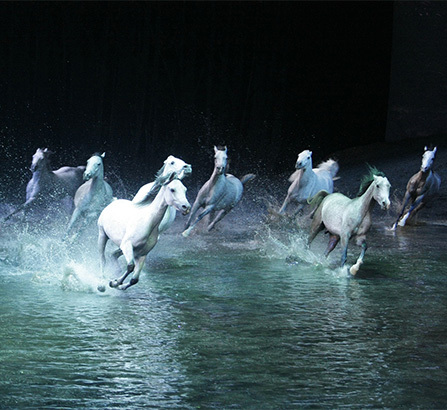 It is during the Qasr Al Hosn festival that the Cavalia equestrian show will be presented. An innovative and multi-disciplinary production, this spectacle was created by Normand Latournelle, the co-founder of Cirque du Soleil. Under the cover of an enormous tent, acrobats, musicians, voltigeurs and other artists from all around the world will display their talents. Due to a succession of picturesque scenery, multimedia projections, colorful lighting and special effects, audiences will be transported to the enchanted world that celebrates the equestrian arts.